In order to understand why patents are property rights, we first have to understand what property rights are. The Austrian School of Economics theory of property rights is that they are a social construct necessary to efficiently distribute scarce resources. According to Austrians intellectual property is not scarce and therefore not property. Since IP is not property it is a monopoly and represents the immoral aggression on the part of the state. The Austrians position is incorrect, logically, historically, and empirically. Property rights in the US are based on Locke’s formulation that property rights result from the act of creation. Note this is update for modern language. 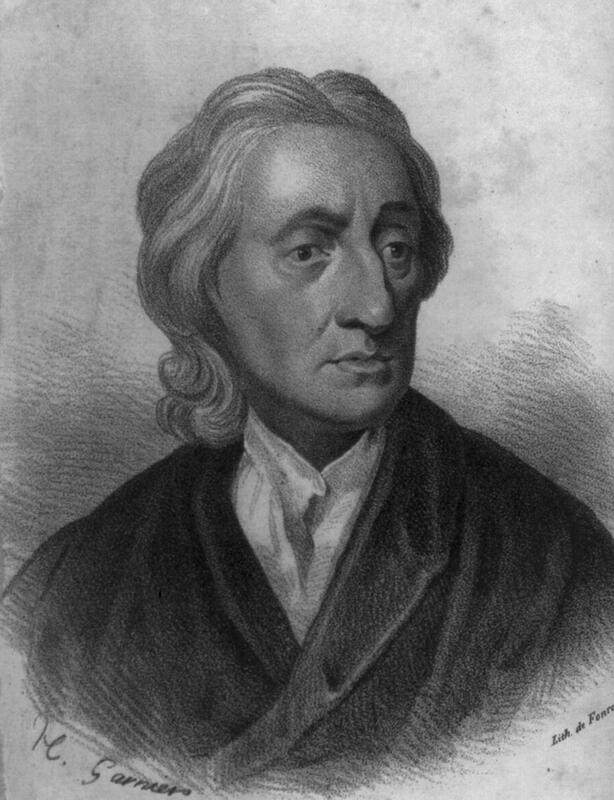 Austrians and Libertarians have purposely mischaracterized Locke to create a straw man argument as to why Locke was wrong. Adam Mossoff has an excellent paper on point. Locke’s ideas were incorporated into US law by Blackstone’s Commentaries on the law. This book was even more influential on US law than England, but is incorporated into almost all common law countries. The Austrian formulation of property rights does not explain why people come to own property rights, but Locke’s does. In addition Locke’s formulation which is based on the idea that you own yourself or stated another way that you have property rights in yourself, explains why murder and slavery are illegal and immoral. It also explains how you come to hold property rights. Finally, it explains almost all of our basic criminal law and property law. Under science and Occam’s razor the simplest theory that explains the most facts is the correct theory. The Austrian theory of property rights fails. The other theory of property rights is that the King, the State, or the collective is the ultimate owner of all property. The State just allows you to have control of certain resources until they believe someone else should control the resource. This theory has some historical basis but is not really a theory of property rights, since the most basic right of property is the right to exclude. Clearly under this theory you do not have the right to exclude. This theory has the same problems as the Austrian formulation of property rights and logically implies that everyone is actually a slave of the State, since they do not own themselves. Notwithstanding the problems with the Austrian formulation of property rights is it true that inventions (IP) is not subject to scarcity? Inventions require the time and effort of inventors, they required labs, computers, facilities, materials, etc. So clearly the creation of inventions is subject to scare resources. But is the distribution of inventions subject to scarcity? VCs usually budget ten times as much to get a new invention in the market as is necessary to create it. If it took no resources to distribute inventions and information then there would be no need for schools, universities, doctors, lawyers, engineers, marketing and sales people, etc. So clearly it does take resources to distribute inventions. Notwithstanding that the Austrians are wrong about the scarcity of IP, is IP a monopoly? Here a number of posts that show definitionally, logically, legally, and empirically patents are not monopolies. More on the Myth that Patents are Monopolies https://hallingblog.com/more-on-the-myth-that-patents-are-monopolies/. This post contains a number of quotes from philosophers explaining that patents are not monopolies. This post explains the difference in the concepts of property rights, possession, and objects. Most economists and patent detractors confuse these concepts. The origin, definition, and legal basis of property right are explained. This post compares the definition of a monopoly to the rights obtained with a patent. It shows that the rights obtained with a patent do not confer a monopoly.